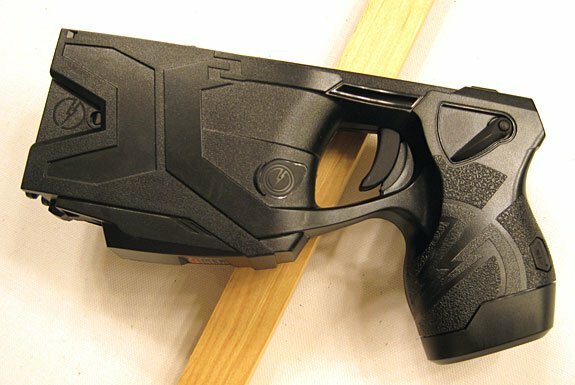 In April, I wrote an article about the new Taser X2 and some of its proposed advances over Taser’s X26. 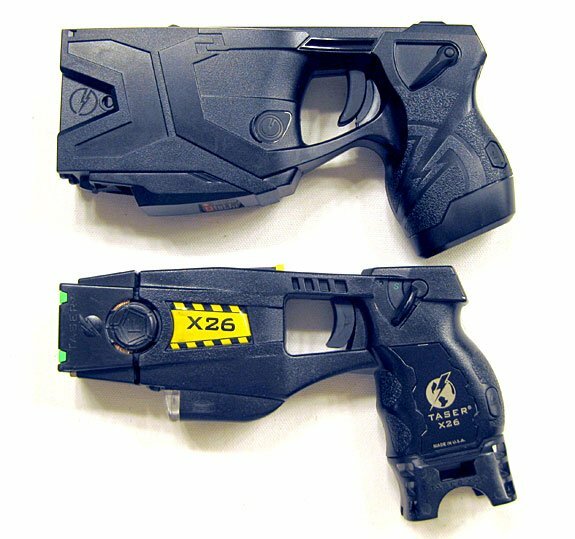 I received a department-issued X2 yesterday and took the required block of Taser X2 training. I have a few thoughts. The X2 is slightly larger than the X26. From their spec sheet, the X2 is ½” longer, 1” taller, and ½” wider than an X26. It also weighs twice as much. Okay, so it adds a bit of bulk to the gun belt. A major advantage to the X2 is dual sighting lasers. The dual lasers help with a main culprit of ECD ineffectiveness: probes missing their target. I found that the top and bottom dart lasers were dead-on inside 25 feet. Accurate hits are easier when you don’t have to guess where the bottom dart is going to land. The top dart laser is constant on, while the bottom dart laser pulses. 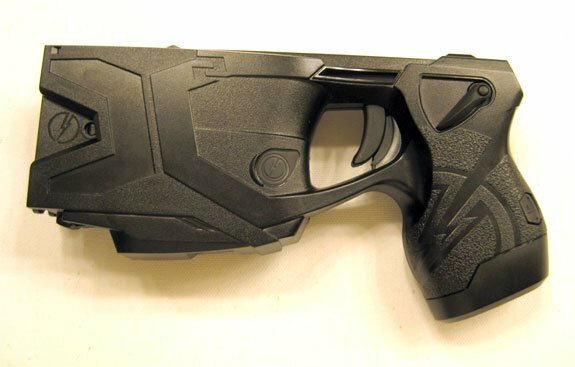 This comes in handy if you need to cant the weapon for prone suspects or difficult shots. Another real improvement to the platform is the back up shot capability. No more fumbling with a second cartridge for a reload. Missed with the first shot? Just fire the second. 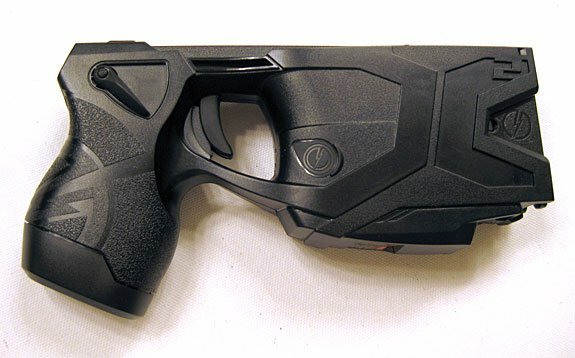 The X2 allows you to engage two suspects and “control” either one, or both, using the trigger and ambidextrous secondary buttons. These secondary buttons toggle between cartridges or can activate both sets of probes. Through the use of the secondary buttons, drive stuns can be accomplished without firing the cartridges. They also allow for the daily spark test without removing the cartridges. What agency hasn’t had someone negligently fire off a set of probes while spark testing? 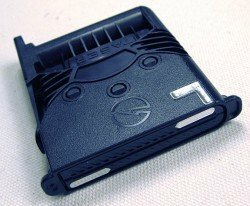 The Smart Cartridges for the X2 are recessed in the housing, so they cannot be knocked off, as can those on the X26 or M26. 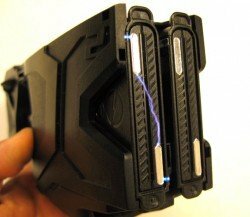 If you’ve ever had a cartridge get unseated in an older Taser, you can appreciate this feature. Unlike an X26, the X2’s casing is waterproofed to IPX-2 standards, which equate to the device withstanding 3-5mm rainfall per minute for 10 minutes and the device tilted 15 degrees from normal in four directions. These are the main improvements, though there are more that I don’t feel are all that important to the operator, such as internal self diagnostics or advanced display options. Something I think may be a bit difficult is transitioning officers to the X2 from the X26. In an average X26 engagement, after deploying the probes into a suspect, an additional application of the ECD involves depressing the trigger again. With an X2, this procedure will fire off the second cartridge into wherever the thing is pointed. 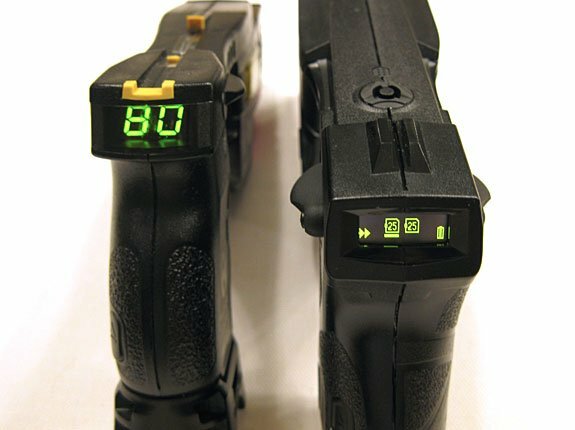 Re-energizing the first fired cartridge is accomplished by pushing one of the secondary buttons, not the trigger. I think training repetitions with the new X2 will overcome any confusion with this functional difference. We conducted drills alternating targets and toggling between the two expelled cartridges. The basic way the X2 effects neuromuscular incapacitation is little different than with previous Tasers. The real advances of the X2 are in the total package that delivers the NMI. Taser’s solutions have increased this device’s overall field effectiveness and durability. Randall is a twenty-four year sworn police officer in a mid-sized Florida police department. He has been an FTO, K9 Handler, Detective, and SWAT Team Leader. He is currently the K9 Unit Sergeant and department SWAT Coordinator.